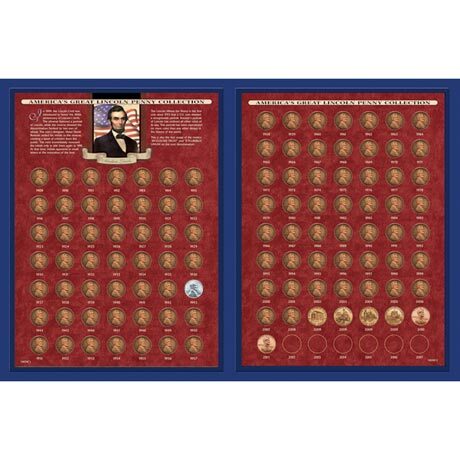 The rare 1922 Lincoln penny is included in this most comprehensive set of Lincoln pennies you'll find anywhere. 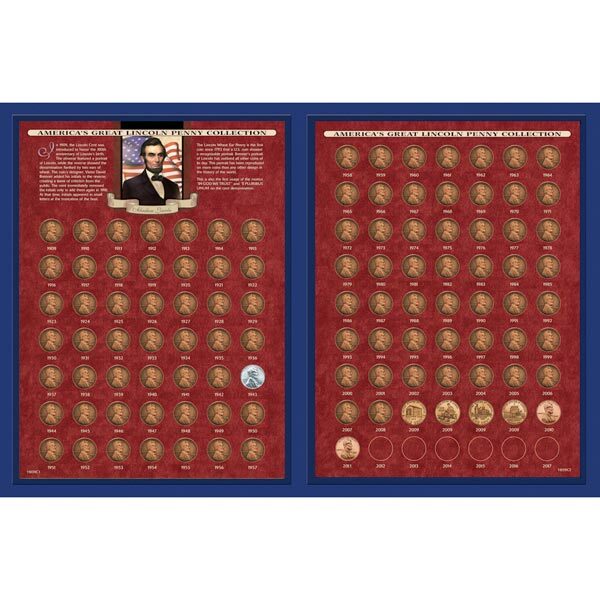 The historic collection includes 106 Lincoln Pennies, one from each year of issue from 1909-2013 including the four 2009 Lincoln Bicentennial Pennies. You'll get the "first year of issue" 1909 Lincoln Wheat-Ear Penny and the rare 1943 Steel Cent produced when copper was need for the war effort during World War II. This collection is beautifully displayed in a deluxe museum-quality leatherette portfolio. Includes a Certificate of Authenticity. Allow 2-3 weeks, no rush delivery or gift box. Item can only be shipped within the Continental US.